During a charity trip to Romania in the nineties, Willem Schakel met a girl called Eleonora. She took him to her parents’ furniture workshop. Willem instantly fell in love with the furniture. He decided to invest in the company and import the furniture to the Netherlands. He called the company Eleonora! 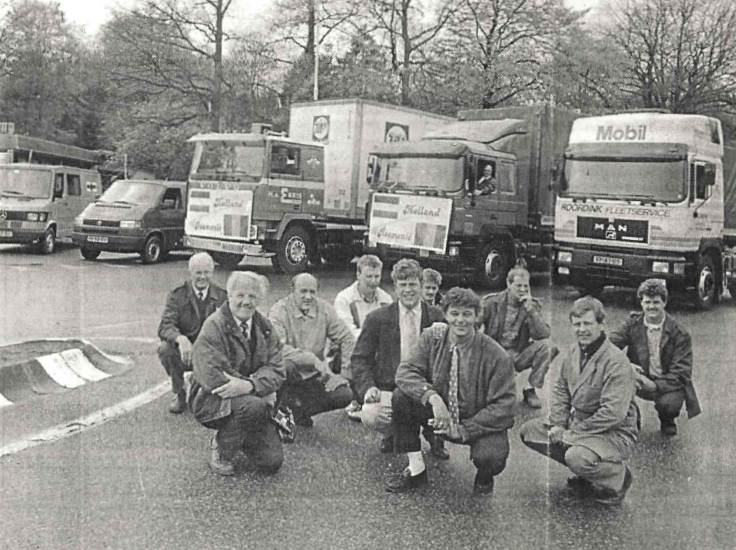 Today, 25 years on, our love of furniture is still strong. And with more than 400 dealers in Europe, Eleonora is a market leader in the world of home furniture. 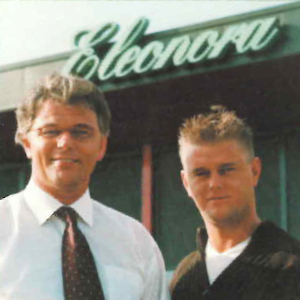 2001 - Willem Schakel with his son Michael, who now runs the company. Eleonara’s furniture spans industrial, Scandinavian and vintage, keeping you in touch with the interior trends of today and tomorrow. Our broad collection has a large number of product lines which change several times per season. This helps you effortlessly adapt to suit the needs and wishes of your customers. View our current collection in our online catalogue, come to our annual in-house show (January) or visit our showroom, where you can discover our complete collection. Eleonora has a firm grip on every step in the furniture journey. From creating our own patented designs to quality control at our production plant. We provide our dealers with inspiring leaflets, product information and images for webshops and social media. We also create complete shop-in-shops. Our furniture’s excellent value for money combined with our service-orientated young team, lets us strengthen our long-term relationships with our dealers. Bookcase Mango from sketch to 3D render to actual product. Time is of the essence when it comes to meeting customers’ expectations. Eleonora supports you in this. Our brand new warehouse stocks our entire collection. Working with our trusted logistics partners, we ensure that you have your order on time and without damage. We can also deliver larger batches directly from our production locations to your store or warehouse. This keeps you one step ahead and lets your customers enjoy their dream interior even sooner! 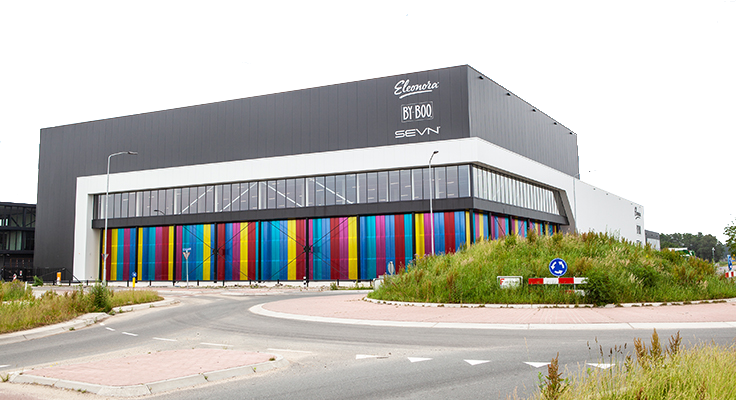 2018 - The new warehouse that has been in use since this year together with our brands By-Boo and Sevn. Come and view our complete collection at our showroom in Barneveld. Enjoy the stylish ambiance and be inspired by our four brands: Eleonora (vintage, Scandinavian and industrial furniture), By-boo (trendy accessories), Sevn (lifestyle seating) and Mattz (antique and reproduction). Feel free to drop by during office hours! Albert Plesmanstraat 10-12, Barneveld, Nederland. Not enough time to come and visit us? Then view our collection in our online catalog and order online. Not enough time to come and visit us? Then view our collection in our online catalogue and order online.